CROSS COUNTRY TOUR® CROSS TIME ZONES WITHOUT EVER LEAVING YOUR COMFORT ZONE. Tough Meets Timeless. This Gear Is Designed To Last And Built To Ride. CARGO CAPACITY; Largest Total Capacity In The World - Forty-One gallons of storage capacity makes this the most cargo space of any production motorcycle. FLOORBOARDS; Adjustable Passenger Floorboards - Give your passengers the control they deserve. Ensure their comfort with adjustable floorboards that range with three different positions. ABS; Confidence Inspiring ABS - Own the road in any condition. 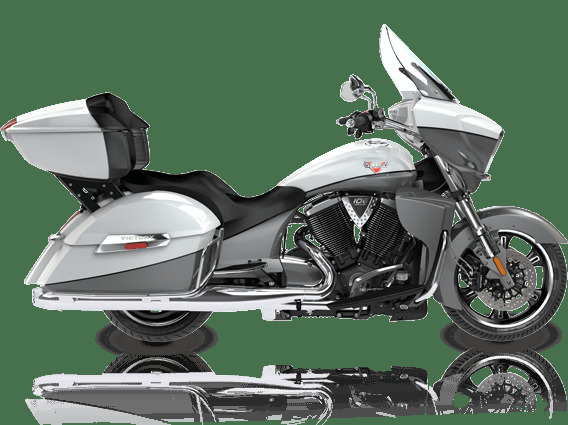 The Victory Anti-Lock Brake System monitors traction to automatically provide control , stopping power and confidence in any situation. CONTROL SYSTEM; Victory Comfort Control System - Turn the winds to your favor. 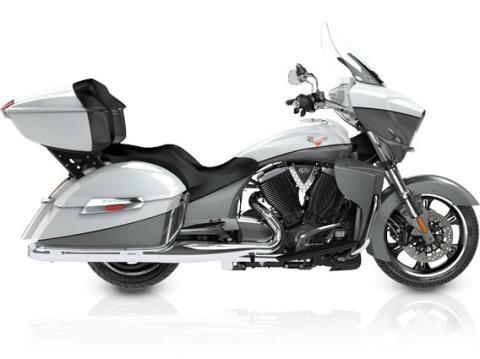 Victory's comfort control system provides upper and lower air controls that channels the wind to maximize your comfort.